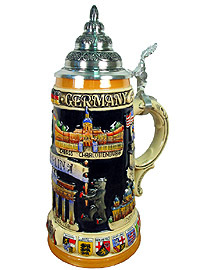 This stein depicts the most important Berlin landmarks. 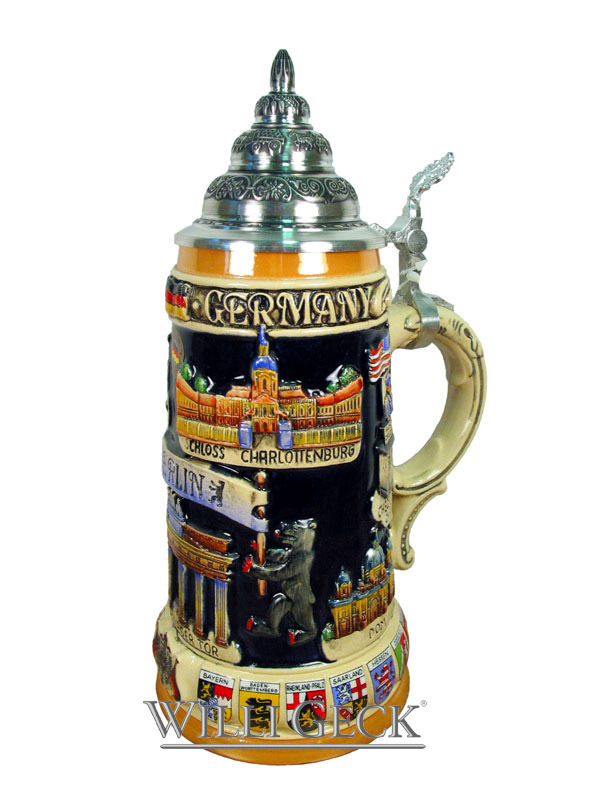 The base shows the coat of arms of each German state. Handpainted reliefs of the following Berlin sights: Brandenburg Gate, Charlottenburg Castle, Reichstag, Siegessaule, Gedaechtniskirche, Berlin Cathedral, Checkpoint Charlie. 3/4L, 11inches tall, pointed quality pewter top.